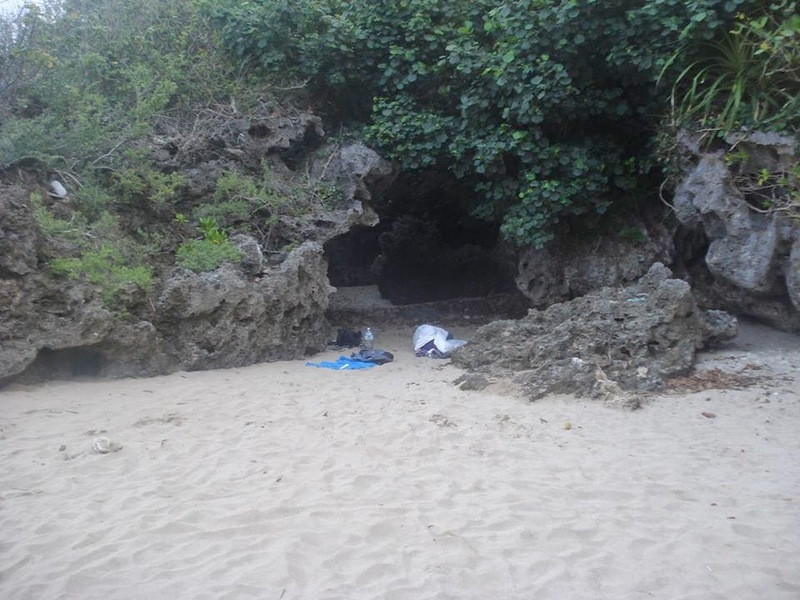 Me passed out in full sunlight, in the sand, in a cave. There's pretty much no place I can't sleep anymore. I can't recall a time that I haven't had trouble with sleepiness. Since I was a kid, I was always the first to fall asleep at sleepovers. All throughout highschool and college, I've had trouble with staying awake in any classes between noon and 4. Out at the bars and clubs, I've always been the one yawning. My exhaustion reached an all time high when I came to Taiwan, and I want to share the various things I did to finally break through the clouds of exhaustion. If you find yourself barely staying awake in the middle of the day, or suffer from foggy-brain syndrome at random points, or wonder if you've got early onset of Alzheimer's from how exhausted you seem to be all the time, learn from my mistakes. The first thing to do when trying to solve constant exhaustion is finding the source. You can't choose the right medicine until you know the disease. The most common cause of exhaustion is simply not getting enough sleep, which is kind of obvious. Sleepfoundation.org recommends 7-9 hours of sleep in adults age 18+, and 8.5-9.5 hours of sleep for those under 18. Seems excessive, right? I thought so in college, so when I thought the cause was simply not getting enough sleep, I tried a couple hacks to maximize my sleep efficiency. The mother of all sleep hacks, polyphasic sleep involves breaking up your sleep into smaller chunks of more efficient sleep, rather than loading all of your sleep into one giant 8 hour block. The general theory is that your nREM, or non-dreaming sleep, is just wasted time between bouts of the milk and honey of your sleep, REM sleep. Polyphasic sleepers sleep less total hours, but remove some or all nREM sleep, meaning they are just as awake or even more awake than single-phase sleepers. For more information on this, check out the subreddit, the wikipedia article, and this dude's blog. I originally tried out a 6 hour block of sleep with one 20 minute nap schedule. For a while, I found myself way more awake during the day, but generally I would need more than one 20 minute nap to really use this effectively. I did, however, learn the extremely valuable skill of how to take a full REM 20 minute nap, which has been useful in curing mid-day sleepiness. I also tried a 3 hour block of sleep with three 20 minute naps, but after two days of feeling each cell in my body scream in protest at what I was subjecting them to, I gave up on that experiment and slept for a solid 18 hours. Although I found polyphasic sleep to be an unrealistic solution for many reasons, I learned a couple things from my polyphasic sleep experiment: 1. Naps are amazing, and 2. Waking up in the middle of a dream (REM sleep) will completely eliminate morning sleepiness and result in a generally more awesome day. People typically sleep in 1.5 hour REM cycles, so if you go to sleep and wake up in 1.5 hours, 3 hours, 4.5 hours, and so on, you'll feel much better than if you wake up in 1 hour, 2 hours, 5 hours, and so on. To calculate when I should wake up, I would use the website sleepyti.me, an online sleep calculator that tells you when you should wake up based on when you need to be awake by. By using this, I learned that even if I don't need to get up until 8, I'd be much better forgoing the extra 30 minutes of sleep by waking up at 7:30 so I could wake up during an REM cycle. Give it a shot for a night or two, on the weekend if you're skeptical. You might surprise yourself with a newfound morning energy. When I was first getting fitted for contacts, it was noon. The doctor offered for my mom to re-wet her own contacts while I was struggling with mine. She did so, then put them back in and blinked with surprise. "I forgot how good it feels to refresh my contacts," she said. Naps are kind of like that. They seem like an inconvenience, something you could just pass up, but when you invest a mere 20 minutes into a quick afternoon snooze, the benefits are undeniable (and refreshing! ): greatly increased alertness, decreased blood pressure, increased feeling of well-being, and so on. Here's what the National Sleep Foundation has to say on the subject. By the way, it's important that the nap not exceed 20 minutes, or you'll slip into nREM and end up feeling worse than you did before. 1. Ensure nothing will distract you. Distractions, as we'll see later, are good rest's worst nightmare (hah). I plug my headphones in and play white noise through an app such as Lightning Bug at a volume high enough to block out external noises but low enough not to keep me awake by blasting holes in my eardrums. Using this app, I've managed to take naps anywhere from the office, to a crowded university hallway, to an airport. You're going to commit 20 minutes to total non-movement. so make sure you're in a position that you won't want to shift out of in that time. This doesn't necessarily mean you need to be cuddled up in bed, although that is ideal. I find the best positions are at a desk with my head on my backpack, or leaning against a window in a bus/airplane. Just make sure you're settled and cozy enough to not be distracted. The actual falling asleep aspect can seem impossible to many people. I've gotten to the point where I can be dreaming within 5 minutes. The first way I achieve this is by imagining my consciousness as retreating deep inside my skull. Sure, it's a bit silly, but when I pull it off, I can feel my brain doing some weird things that usually pull me straight into a dream. This also allows me to easily block out any distractions, because I can pretend I'm "buried too deep" to be aware of anything outside. Another, more traditional way to force a dream is imagine yourself in a very relaxing situation. You could be a bird flying over a forest, or a jellyfish deep underwater just floating around, whatever, put yourself somewhere relaxing and just chill. Finally, many people recommend simply not thinking about anything at all, a very traditional meditation technique. I find this to be impossible, I'll eventually think of something, which will lead to an endless loop of me thinking about not thinking, but I've heard good things about it, so give it a shot. 4. Don't sleep more than 20 minutes. The idea of a nap is to get one full cycle of REM sleep, which generally last about 20 minutes. While 30 minutes may seem like a more reasonable amount of time, I can promise you from experience that the difference in waking up after 20 minutes and 30 minutes is extreme. After 20 minutes, you can expect to feel refreshed and active (and, in my case, hungry). After 30 minutes, all you will want to do is keep sleeping. I typically set my alarm somewhere between 20 and 23 minutes. As it turned out, my problem wasn't related to the amount of sleep I was getting. Whether it be 9 hours a night, 7.5 with a nap, or 6 with 2 naps, I would always be dogged by exhaustion come noon or 4pm. When the problem escalated in my travels to Asia, I realized something had to be done. I figured that if the amount of sleep isn't what's causing my exhaustion, it must be something wrong with the actual sleep itself. I did some research into basic causes of poor sleep quality, and made some adjustments. I turned my phone to silent mode, blacked out my curtains, got a fan to blow on me all night, and lifted my pillow a bit. However, considering how long I've had this problem, I knew I needed to find a root cause for my exhaustion, and decided upon Sleep Apnea. Basically, my snoring was waking me up periodically throughout the night, reducing the total amount of sleep I was getting. By recording myself at night I was able to confirm this. Snorts and snuffles abounded. But why was I snoring? Sleep apnea can be caused by many things, some of which are listed here. I ended up narrowing my cause to my allergies, which I solved with a few pills and sprays. I will link to how I cured my allergies when that post is finished. In any case, by reducing the swelling in my nasal passages and overall amount of boogers in my sinuses and ending my snoring, I've finally solved that exhaustion that's been plaguing me my whole life, as far as I can tell. I no longer feel required to take a nap around 12 if I got at least 7.5 hours of sleep the night before, I no longer feel like my brain is just a big slug around 4pm, and as an added bonus, I haven't experienced any symptoms of depression. I hope someone else can find this useful. Go ahead and ask in the comments if you have any questions, or share your own tips for defeating mid-day exhaustion.